Local musician Ben Welburn returns to home turf this weekend and brings with him the band that forms his touring tribute, CASH, paying respect to the man in black. 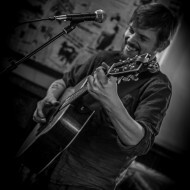 Croatian-born singer-songwriter Innes has been residing in Scarborough and performing regularly in the area, whilst recording an EP and filming music videos. We talked to her in the lead-up to her appearance at Staxtonbury festival on 5th July. Internationally renowned, hailing from Leeds, and set to appear in Scarborough for the debut Method Electronic Music Festival, Dave Seaman talks to Yorkshire Coast Gigs. Sunset Sons are surf-loving musicians currently on their first UK tour and appearing at the Spa Pub on Thursday 24th April. Yorkshire Coast Gigs caught up with them ahead of their visit.